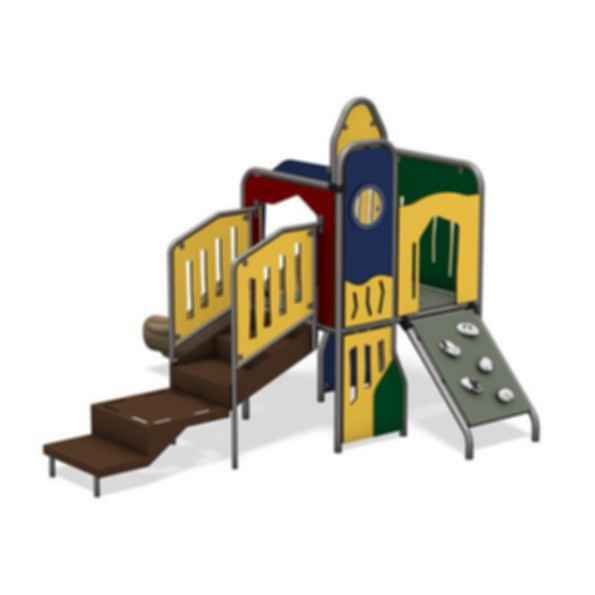 Our most affordable KidScape unit, Olympus provides a wealth of climbing and exploration options for preschool children. The steel-wrapped HDPE plastic panels have lots of cut-outs, portals and windows. 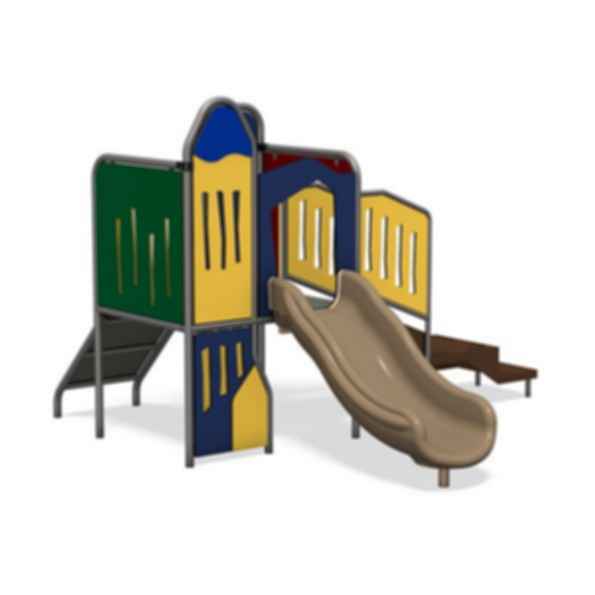 The rock wall climber is a fun and challenging way for children to access the play system and the 3-foot Zip Slide is a fast, fun and exciting way for children to make their exit. Spinning plastic globes and interlocking gears below deck enhance gross and fine motor skills and the large, under-deck play area is a cozy spot for children to take a break from active play. Our four "pathways to enriching childhood through play" are a holistic approach to play that inform everything we do - from research to thoughtful design, from how we manufacture products to a vision of society that is made better by the power of play.